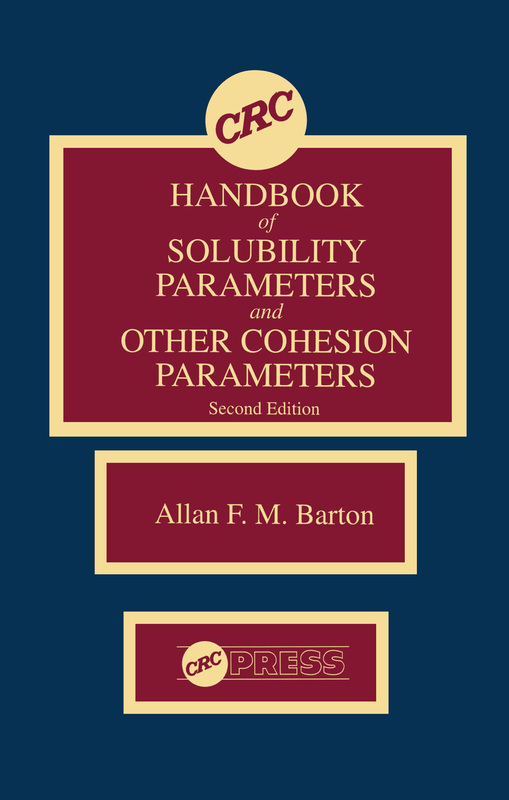 The CRC Handbook of Solubility Parameters and Other Cohesion Parameters, Second Edition, which includes 17 new sections and 40 new data tables, incorporates information from a vast amount of material published over the last ten years. The volume is based on a bibliography of 2,900 reports, including 1,200 new citations. The detailed, careful construction of the handbook develops the concept of solubility parameters from empirical, thermodynamic, and molecular points of view and demonstrates their application to liquid, gas, solid, and polymer systems.